Local Facebook live show hosts Coco & Lala from famed Facebook show, Keeping up with Coco & Lala, get their own radio talk show! 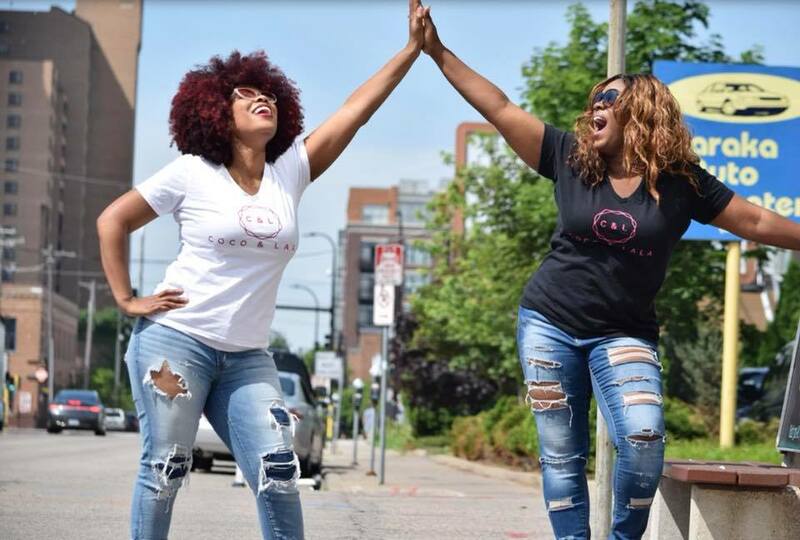 The African American Twin Cities-based duo—one vegan, one newly vegetarian—are now hosts of a live radio talk show on 89.9 KMOJ HD2 The Ice (Wednesdays at 4 p.m. CST). They shed a light on vegan and vegetarian eating and living. Coco and Lala are also creators and hosts of the amazing Facebook live show—Keeping Up with Coco and Lala (Thursdays at 1:30 p.m. CST). On this show they test out trending vegan and vegetarian recipes, try different products, and offer honest reviews. They regularly crack each other up while proving you can eat healthy without much hassle. They are bringing all their fun energy, addicting personalities and education to their radio talk show, Healthin’ it up with Coco & Lala. What makes “Keeping Up with Coco and Lala” so interesting is their lively personalities and their audience interactions. While recording live via Facebook, the pair regularly interacts with viewers who post back and forth in the comment section of the live stream. With a growing audience, “Keeping Up with Coco & Lala” may soon jump off the computers and mobile devices and onto a much larger platform. A few things they would like to do: they would like a write a cookbook with all their favorite recipes, host their own Food Network show, have a traveling Netflix special and of course meet Ellen Degeneres. The goal of Keeping Up With Coco & Lala is to teach audiences everywhere that a vegan/vegetarian lifestyle can be affordable and attainable. Every week they buy products and test recipes so YOU don’t have to, all while keeping it fun and real. They have tested around 200 vegan and vegetarian recipes and products! Coco Laud is an accomplished baker, an entrepreneur and regularly enjoys doing vlogs with her family on their YouTube channel called Laud Family Vlogs. They show how a relationship should generally be as well as: doing challenges suggested by fans, pranks, Q&A, story times, and all the adventures of a large family including managing all the kids' special talents and taking the time to enjoy every minute of it! In her free time YaLonda (Lala) Lolar-Johnson is a professional recording artist, songwriter and entrepreneur who has just released the fantastic He Saved Me - EP receiving plenty of great reviews! The experience of recording her EP has changed her life forever by igniting an undying flame of purpose inside her to continue to push toward what she has always known is her life’s purpose.